Shopping in Antwerp. Photo by / Flickr. Do your friends know where to shop in Antwerp? Ours do. Nick Papa of , one of our 24 Best Travel Blogs and Websites, pinpoints where to find diamonds in the rough in Belgium's fashion capital. ANTWERP — It may be Belgium's second city, but Antwerp packs just as strong a punch as Brussels. Cobbled lanes and quaint architecture house plenty of notable cafes, bars, and clubs, but the Dutch-French city is also a shopper's playground thanks in part to its fashion boutiques, art galleries, and diamond dealers. Travelers looking for the perfect takeaway should look no further than the locals. Here's where Antwerp's insiders do their shopping. A gay-friendly bookshop selling everything from pins to calendars to rainbow-colored beach towels. It's also a venue for cultural activities, with book signings, live poetry readings, and regular book club meetings happening throughout the year. Americans aren't the only ones who take their obsession with cats and dogs to the next level. The collection of accessories for today's modern pet include designer scratching posts, cool litter boxes, orthopedic beds, and tailored coats for dogs. Specialist cookie shop Philip's Biscuits. Photo by / Flickr. Behind the scenes at The Chocolate Line. Photo by / Flickr. 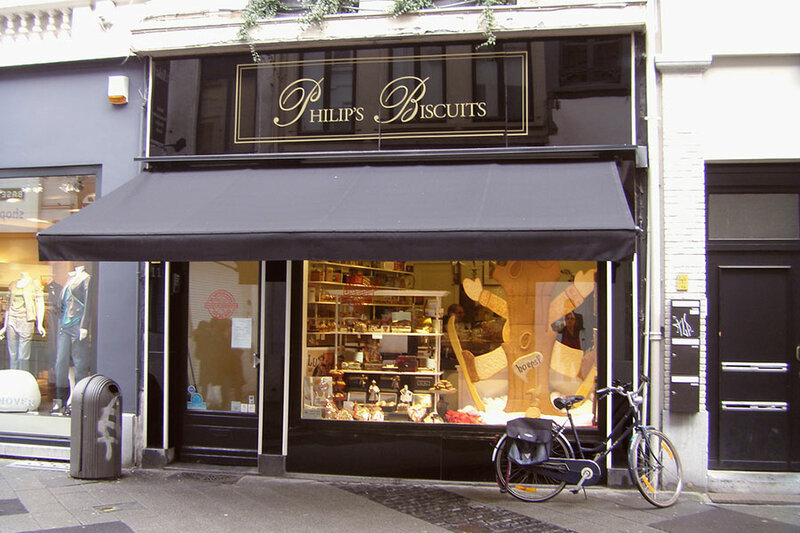 Changing window displays made entirely of cookie dough make Philip's Biscuits a bakery that literally can't be missed. Try amandelspeculass (large, soft cookies made of almonds, ginger, and dark caster sugar) and moriaantje (tiny, crunchy, and sweet cookies). 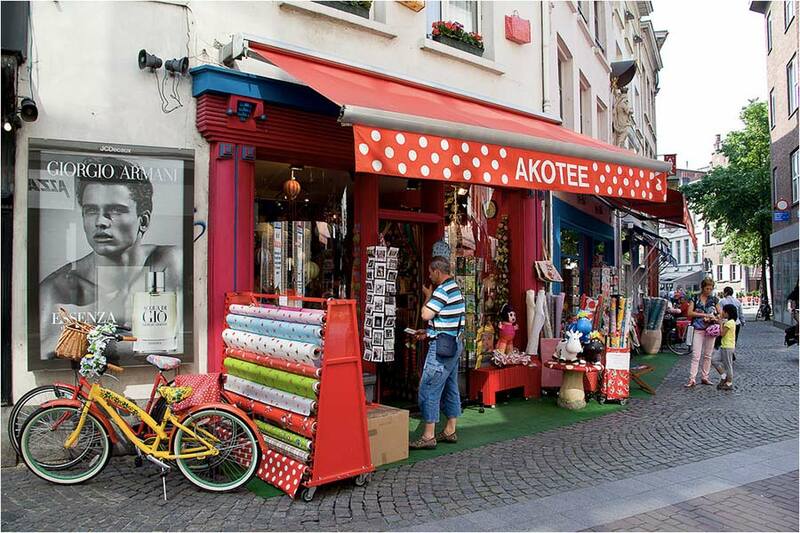 If it's kitschy, Akotee sells it. Finding a unique souvenir is a guarantee among the eclectic collection of pencil cases, wallets, umbrellas, lunch boxes, keychains, old postcards, and clocks. Chocolate is an indulgence, so why not take it a step further by enjoying it in a palace? 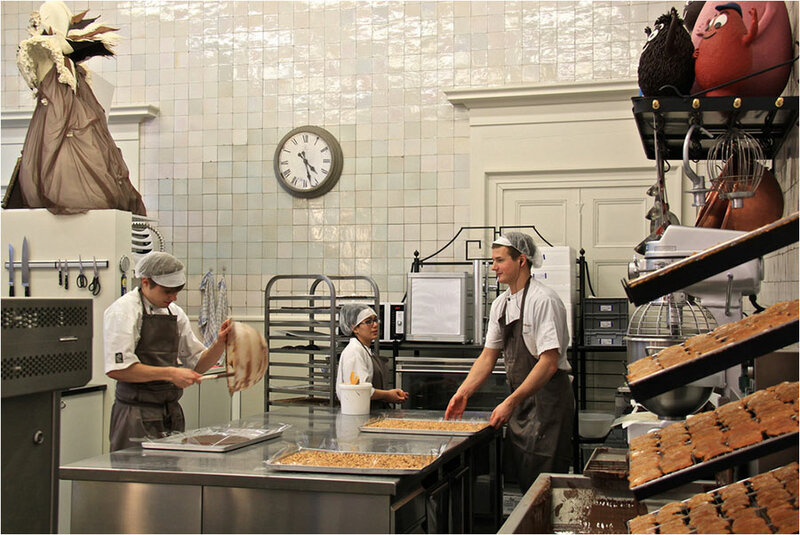 The Chocolate Line is located in Antwerp Royal Palace and is helmed by Mr. Dominique Persoone, who became world-famous for designing a chocolate inhaler for the Rolling Stones and making chocolate on demand for Michelin-star restaurants. 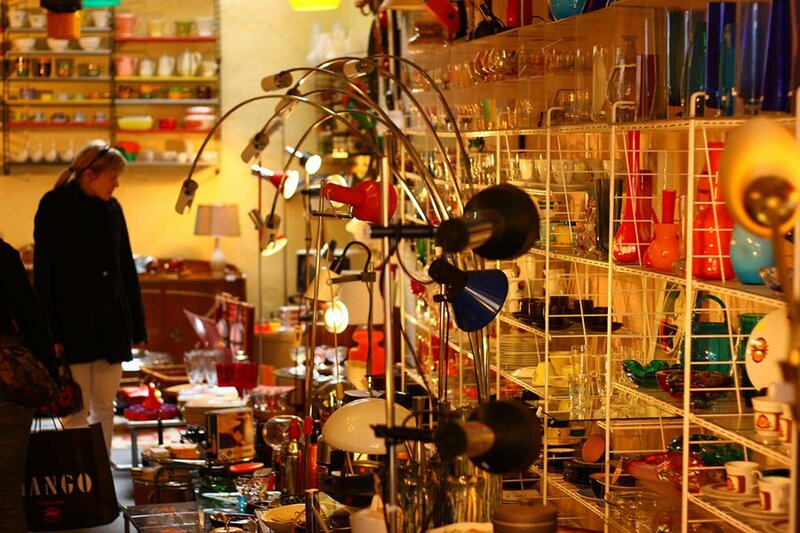 The only street in Antwerp with shops that remain open on Sunday comes alive every weekend with locals browsing antique and vintage finds at Sint Jansvliet flea market, while others peek into its charming fashion boutiques.